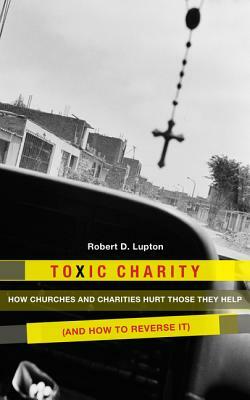 30% off Bob Lupton’s books on urban ministry, and a free one. One week only. Interestingly, this largely secularized social service movement of various coalitions and nonprofits and agencies had as one of their keynote speakers a hero of ours, the evangelical anti-poverty activist and great author Robert Lupton. Somebody within the Alliance knew that we had interests in faith-based anti-poverty work and had sold books for the Christian Community Development Association at one point or another and so asked us to step in to help with an autographing session with Lupton after his speech. What an honor that was! The folks at this high-profile, sophisticated and very exciting conference—they want to change the world, after all, so you could feel the hopeful energy!—seemed, though, to not know much about faith-based community development and had little idea who Lupton was. Kudos to whoever booked him, for wanting to build that bridge between serious social change advocates and evangelical workers and kudos to our Pittsburgh friend Joanna who got us in on it. What a morning it was! Lupton wisely built a bridge with his listeners by doing top rate social analysis, telling lots of stories of his own years of hard work in social change amongst and with the poor, and, as one listener put it, “earned the right to be heard.” One of the strengths of his books is the way he brings balanced, prophetic insight and lots of moving examples and real stories. He finally called on the housing scholars and activists to discover sustaining faith, and to consider working more closely with church folk, often a solid asset in the neighborhoods. Lupton knows what he is doing, has written very important, lively books on the subject, and we think he did a stellar job in a pretty different setting than most Christian conferences he might attend. In this particular crowd, on this particular day, the book sales did not go well. Alas, it is to your benefit, as we have to get rid of some of these. Quickly. We need the cash and don’t want to pay hefty shipping charges to send ’em all back. Why not build your library about God’s care for the poor and wise work in the city? Why not study this topic yourself, start a book club, or propose an adult reading group in your fellowship or parish? Maybe you have friends who live in the inner city who would appreciate these or know college students majoring in urban sociology–they sure appreciate these, I’m sure. Maybe you have read Lupton’s big seller Theirs Is the Kingdom and loved it, and now are ready to dig a bit deeper. Maybe you realize that he has, indeed, earned the right to be heard, to be read, and want to hear him out on his brand new one, Toxic Charity. Perhaps his Bible study on Nehemiah would inspire you or your group. We have a great deal going on here, for one week only, while supplies last. You don’t want to miss this. SPECIAL OFFER 30% OFF AND A FREE BOOK, TOO. Order any of the first three Lupton books listed below at 30% off and when you order two we will throw in a copy of his Compassion, Justice and the Christian Life for absolutely free. In addition to the deep discount, this bonus book is a gift from us, a $12 value. Going to the Housing Alliance conference was a bit of a risk, but we piled up his books deep and wide, hoping just being there was a witness about Christ, and a testimony of good work done by a solid brother who has paid his dues doing this complex work over a lifetime. Whether they sold or not, it was a blessing to represent Christian publishing in a less than religious environment. Now, you get to reap some benefit, too. Great books, cheap price, free gift. This week only, the offer expires Friday, November 25th. Use our website order form page. 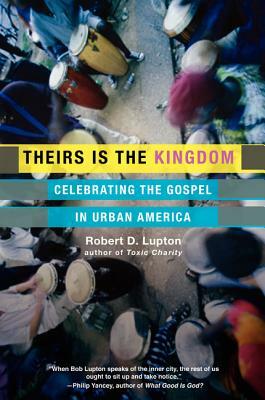 Theirs is the Kingdom: Celebrating the Gospel in Urban America (HarperOne) $13.99 30% OFF SALE PRICE $9.79 This was his first book and it a fabulous collection of great stories, moving insight, challenging teaching, hard-hitting, yet positive that the gospel can make a real difference in the lives of others. It was just given a new cover, but it has been out since 1989 and is still a classic intro book on the topic. How about this Yancey blurb: “When Bob Lupton speaks of the inner city, the rest of us ought to sit up and take notice.” Indeed. advocates and the personalist views of those who minister one by one. 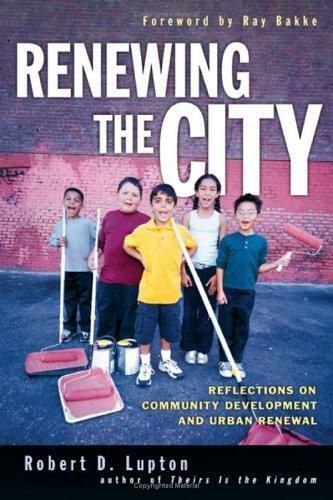 Renewing the City: Reflections on Community Development and Urban Renewal (IVP) $16.00 30% OFF SALE PRICE $11.20 The copy on the back cover says “when an expatriate bureaucrat toured a devastated city, he saw more than ashes and ruin.” As you may guess, this book starts with a study of Nehemiah, and offers that as a role model for urban community transformation. It isn’t every author who can weave together incisive Biblical insight, thoughtful proposals about structural change in city neighborhoods, and tell fabulous stories about his own fight for justice. As Walter Brueggemann puts it, “The book lives precisely at the interface between ancient text and current urban transformation. It’s powerful testimony will provide guidance and courage for those who read.” There is a good preface by Raymond Bakke, himself an long-standing urban minister and important theologian of the city. Lupton loves kids, by the way, but don’t let the sweet cover lull you into thinking this isn’t a mature, important work; it surely is. 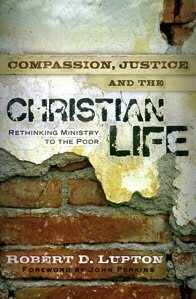 Compassion, Justice, and the Christian Life: Rethinking Ministry to the Poor (Regal) $11.99 30% OFF SALE PRICE $8.39 OR FREE with purchase of any other two, while supplies last This little volume is a jam-packed powerhouse of a book, drawing on his years of experience in a changing urban landscape. Shane Claiborne says “he’s one of the most cutting-edge thinkers on economic development on the planet, yet he’s stubborn enough to keep his feet on the ground where struggle still has names.” Lupton has done housing work, he has organized neighborhoods, done zoning battles, fought the NIMBY attitude, and sometimes even opposed church work that is less than helpful for the moral fiber of the sustainable community. The intro alone is inspiring as he explains his passion and experience. This is tremendous, gusty stuff. It is co-published officially by CCDA. And we have some which we are willing to give away free, with the purchase of any other Lupton book. This is fabulous stuff, with a glowing forward by none other than John Perkins. Currently,we are implementing the Dundori Community Christian Library project where pastors,evangelists,church leaders,ministers and members of the Dundori community will have access to Christian literature,books,bibles,sermons,music,films,directories,encyclopaedias,knowledge and information.